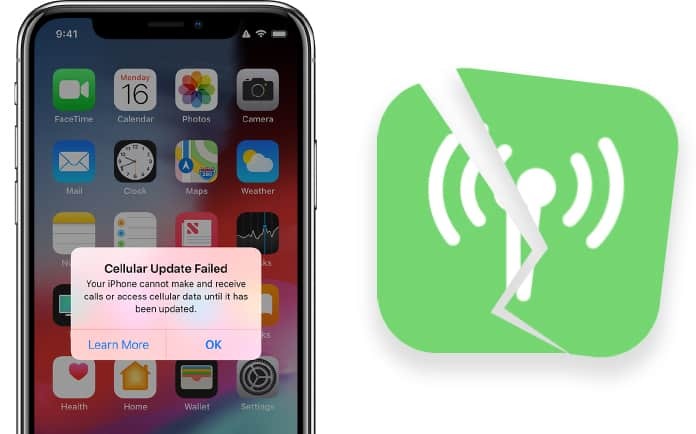 Some iDevice owners came to now that their cellular connectivity and data recently malfunctioned, with iPhone no longer allowing them to access the web and receive or make calls. This happened to them after they updated to the iOS 12.1.2 firmware. Fortunately for you, we’re aware of a few workarounds that you can use to get cellular service and data to work again properly if your iPhone faced specific data issues after updating to iOS 12.1.2. Before taking any step, check for the software update for iOS. If you see that an update is there (even in the form of the same variant), go ahead and install it. You can see if there’s one by going to Settings > General > Software Update, or by connecting the handset to iTunes on PC and seeing for available updates there. Please note that for a few users the methods below might resolve the “Cellular Update Failed” and ‘No Service” problems on their iDevices, but may not for others. Another annoying workaround (which we don’t recommend) is to reboot the device every time the service is required, since that allows the iPhone to regain cell service for a while. Also, you’d have to follow different instructions each time, as the force reboot method varies for the different iPhone models. The existing methods to resolve the cellular data issue on iPhone on a temporary basis requires deactivating WiFi calling and modifying data settings of LTE to “data only” instead of data and voice. 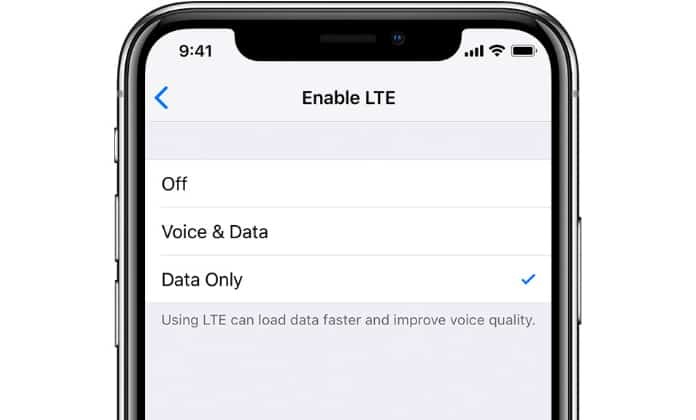 For a few people this might not be viable as a permanent fix, but again this is a fix, so you can choose whether you find the trade-off of WiFi calling and LTE voice disabled temporarily as worth of regaining cellular service. Step 2: Go to “Cellular” and select “WiFi Calling” and toggle off the feature for WiFi calling. This alone has fixed the problem for some. For many iDevice owners, these steps will restore their cellular service, though you’ll lose voice LTE and WiFi calling temporarily. A few iPhone owners have also reported that selecting just one of the settings from above is enough to solve the cellular problem. For the settings to go live, you won’t have to reboot your handset (but doing so won’t have any negative impact). Also, simply switching off the device is enough to get the job done (a hard reboot isn’t needed). Connect your iPhone to WiFi if it’s not already connected to a network. Wait a bit. If an update for the carrier appears, tap “Update” to proceed with the installation. The carrier update won’t be available to everyone, but it’s worth seeing if there’s one available to you. 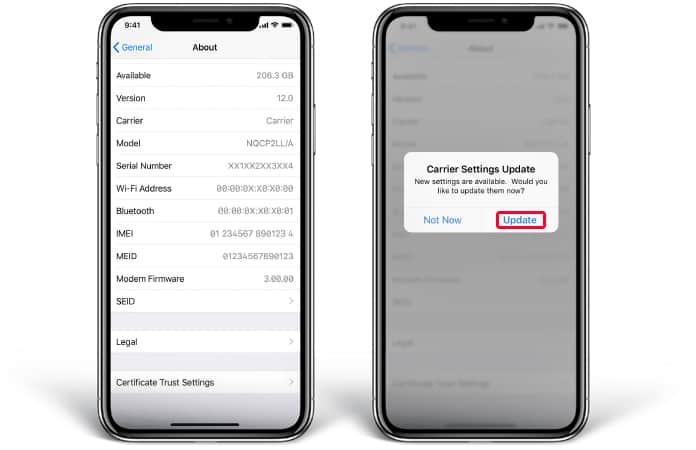 Apparently a lot of people have been able to resolve the cellular connectivity issues on their iDevices by just installing carrier updates, so this is something you should definitely keep an eye out for. Force restart the handset; the process is going to be different based on the model you’re using. Search for system software updates (general) in iOS by heading to Settings > General > Software Update. Get in touch with Apple, or your cellular provider, for more assistance – if none of the troubleshooting steps and tricks from above manage to solve your issue of cellular data and network, you might have to inform the official sources about your troubleshooting. One of Unlockboot’s readers informed us about her direct experience with iPhone cellular issue when her device lost all cellular power after updating to the latest iOS firmware, where the iPhone showed “Cellular Update Failed” and “No Service” message showed up on her screen, and she wasn’t able to do anything on the web. Knowing that the iPhone is a cellular device, not being able to enjoy cellular data is really frustrating. 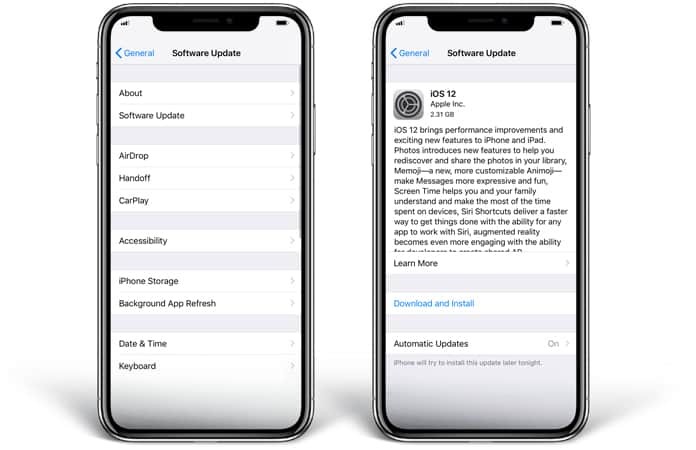 If the cellular issues are the result of an iOS bug, then it’s understandable that a new update from Apple will address the matter completely, though Apple doesn’t give any specific timelines on such matters. Whatever the case, it’s important that you stay up-to-date with updates about system software. 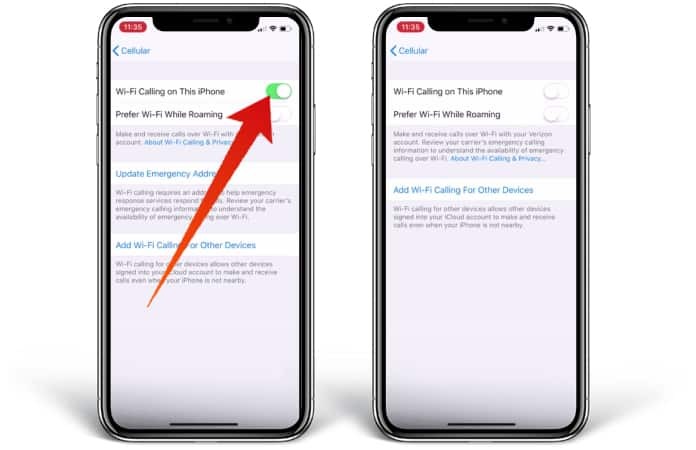 If a newly released update is known to resolve cellular data issues with iPhone, you’d certainly want to switch back to Voice and Data for the LTE data setting, as well as activate WiFi calling once again to benefit from those features. That’s it from our side. We hoped the above tips helped get your cellular connectivity and cellular data working again, and you no longer see the “Carrier Update Failed” and “No Service” messages appear on your handset. If you have any other resolutions for solving these problems, please share with us in the comments section.